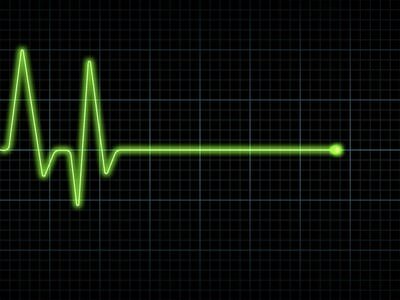 It's that time of year again: SHOT Show is just around the corner and you know what that means... SHOT Show Range Day! Hands-on trigger time with some of the newest firearms and gear that has either just hit the market or will be hitting the shelves soon. EOTech Inc EMF Company, Inc.
Heckler & Koch Heritage Manufacturing, Inc.
High Threat Concealment Hogue Inc.
Ironclad Performance Wear IWI US, Inc.
Lansky Sharpeners Legacy Sports International, Inc.
Leupold & Stevens Lewis Machine & Tool Co. Inc.
Limitless Gear Longfri Technologies Co., Ltd. Surgeon Rifles Swarovski Optik North America Ltd.
UTM/RBT W.R. Case & Sons Cutlery Co.
Zenith Firearms Zippo Manufacturing Co. 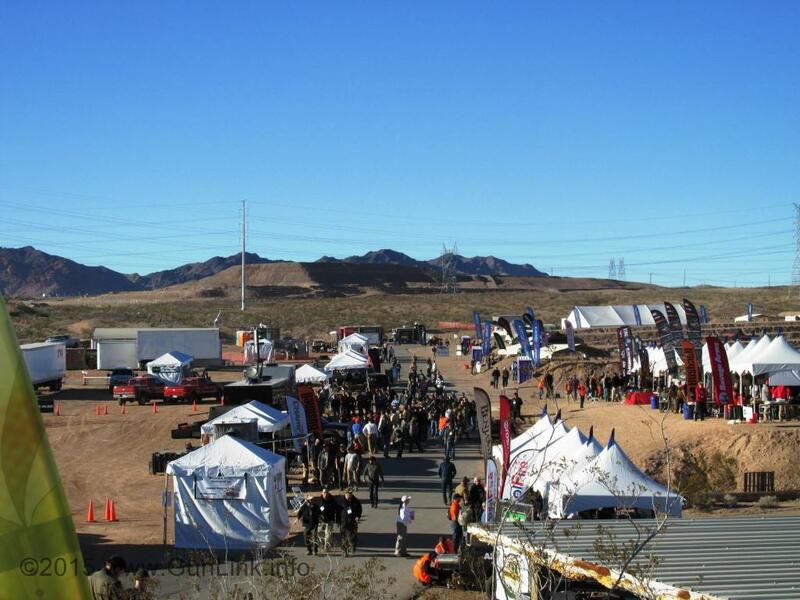 Stick with the GunLink family of sites leading up to the 2016 SHOT Show to stay up to date on what you can expect to see at the show and keep a close eye on the GunLink Forums, GunLink Blog, and GunLink social media feeds all through the show so you don't miss a thing! It's always a great time! There's so much to see that it's tough to fit it all in. Range Day is over and we had to the opportunity to handle and fire a variety of new and improved firearms. We saw so many through the day that it is difficult to pick a starting place, but we are going to start with Walther. 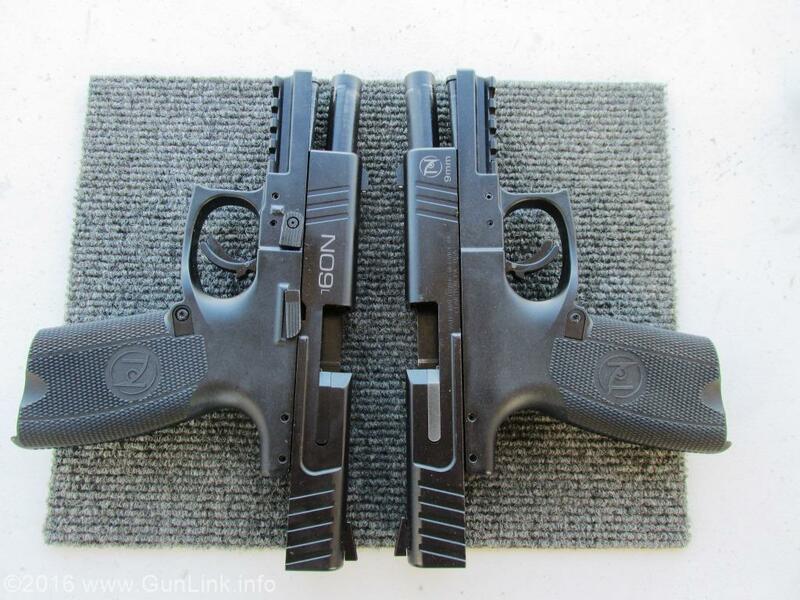 Walther has released two new pistols this year: PPQ45 and PPS M2. The PPQ45 is currently only available in .45 ACP. In addition to the normal features that are associated with Walther handguns, the PPQ 45 has low profile sights, a Picatinny rail, three safeties, ambidextrous slide stop and interchangeable back straps. The biggest feature though is the quick defense trigger. The Walther representative that was assisting us suggested that we dry fire the pistol a few times before actually firing. We are glad that we did. 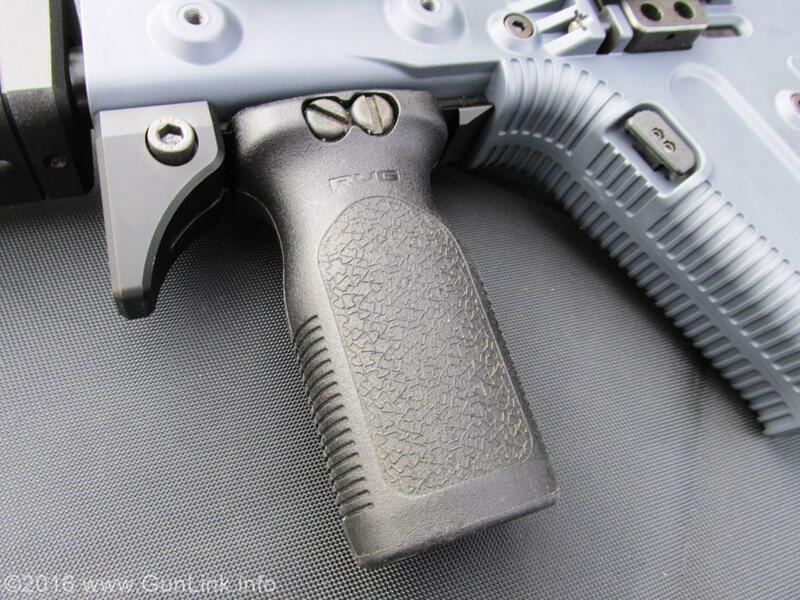 The trigger has 0.4” travel with a 5.6 lb trigger pull. On top of that, the trigger only needs to travel 0.1” to reset. Shooting this pistol was extremely easy and exciting. The slide was easy for our female shooter to manipulate. Coming in at a barrel length of 4.25” and only 1.3” wide, this weapon will be easy for many to conceal. 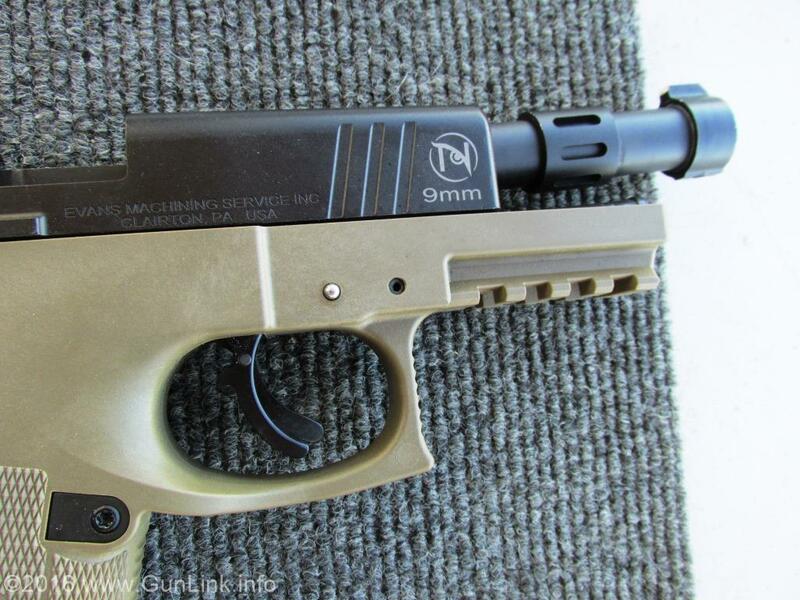 The PPS M2 currently is only available in 9mm and .40S&W. Like the PPQ45, the PPS M2 features low prolife sights and ambidextrous slide stop. 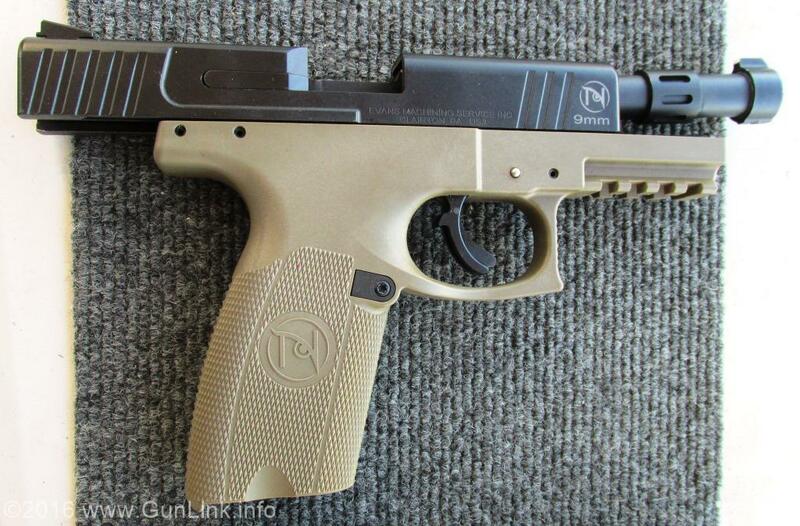 This pistol features a chamber view port and 3 magazine options. 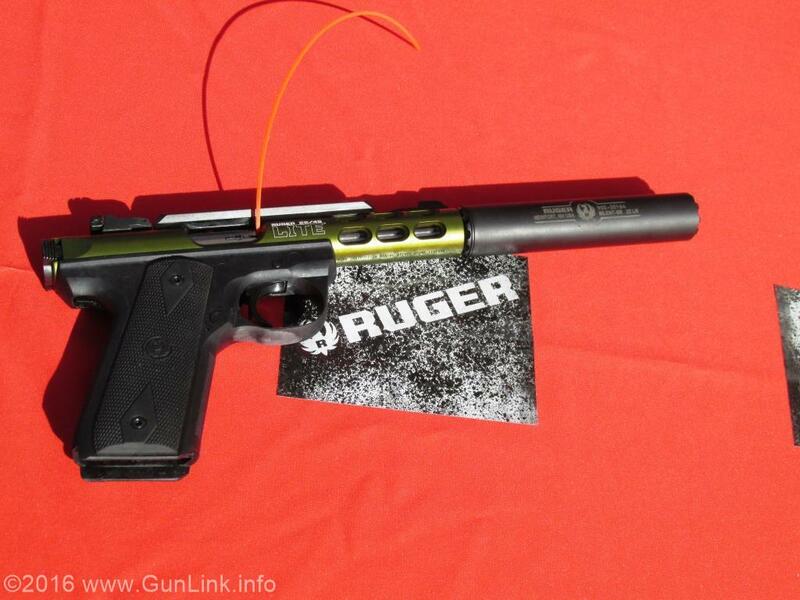 This pistol is slightly smaller than the PPQ45, coming at a barrel length of 3.2” and is only 1” wide. It also features a nice smooth trigger that is 6.1 lbs with a 0.2” travel time. It was very easy for our female shooter to work the slide and the minimal recoil helped to keep the pistol on target with greater ease. The PPS-M2 was small enough that our female shooter felt she would actually be able to conceal it on her person without much difficulty. By far the stand out here is that smooth, light trigger. The smooth trigger pull was very responsive, which helped minimize anticipation of the shot. The short reset allows for successive shots to be fired quicker and with more accuracy. Be sure to keep an eye on the blog and forums for pictures. 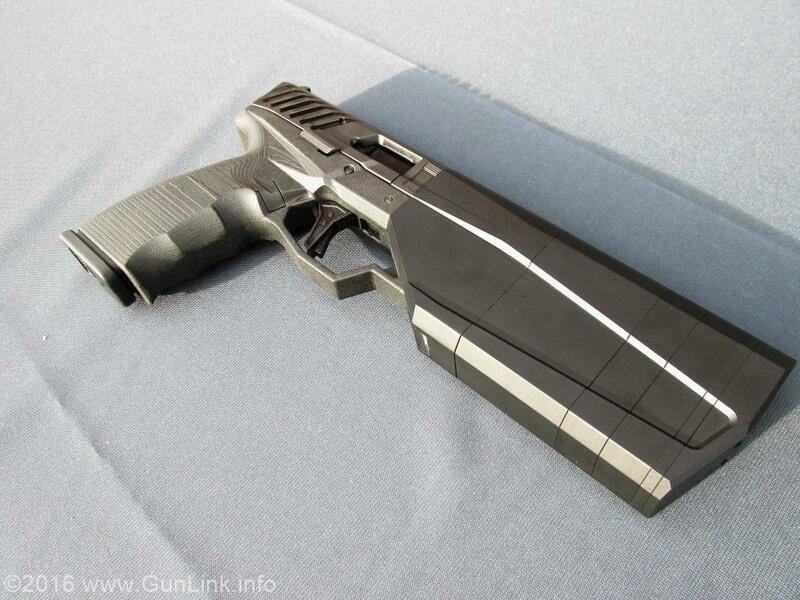 SilencerCo had their Maxim 9 on display at SHOT Show Industry Day at the Range 2016. The integrally suppressed 9mm pistol uses GLOCK magazines and GLOCK sights, which opens up a world of possibilities for aftermarket add-ons. 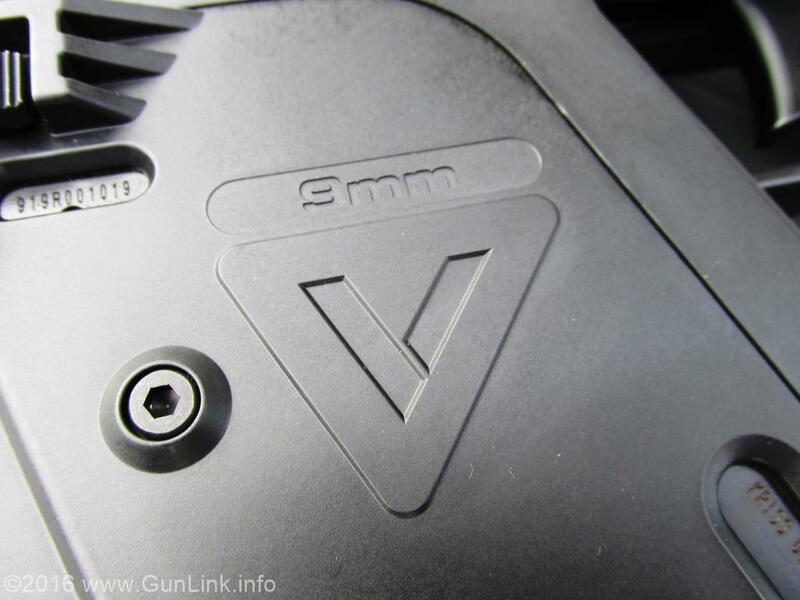 The silencer portion of the Maxim is modular, like the Salvo, and owners can add or remove sections to configure it in longer or shorter setups to accommodate the ammo and desired operating conditions and to aid in cleaning. 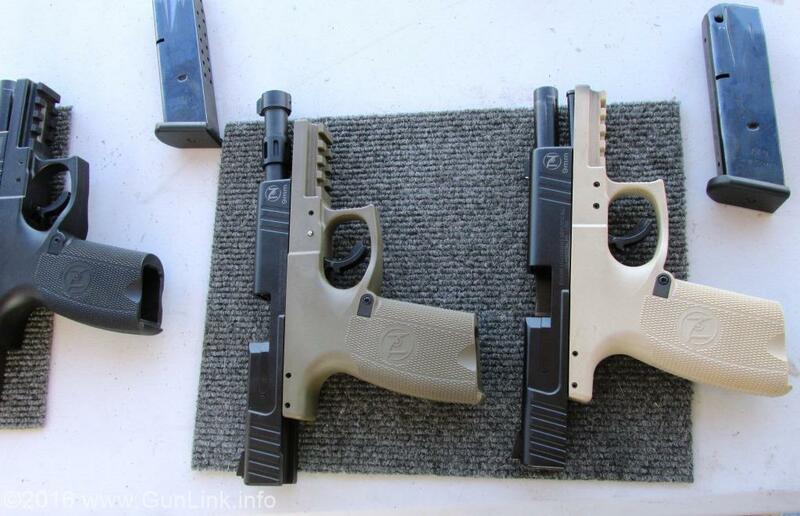 Even though it wasn't available for just anyone to shoot, to prove that it wasn't just 3D-printed vaporware, SiCo staff ran a few mags through it at range day and it was as quiet as one would want from a suppressed 9mm. The SiCo rep ran regular old 115 gr FMG ammo through it and, from just a few feet away, it sounded great. It isn't ready for public consumption yet, but it is getting close. 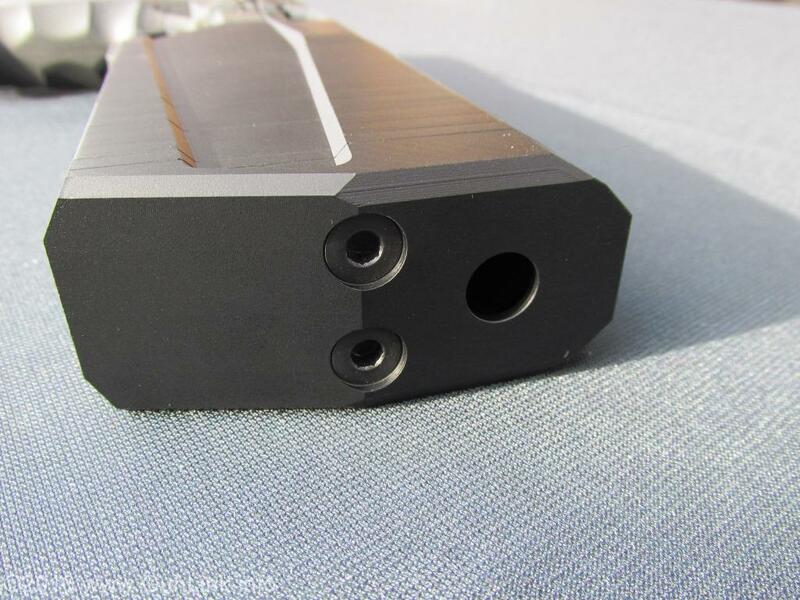 Pending design changes include milling out a spot for mounting an optic on top of the non-reciprocating front end of the maxim and incorporating a light/laser solution under the suppressor. Now all we need is for the Hearing Protection Act to go into effect. 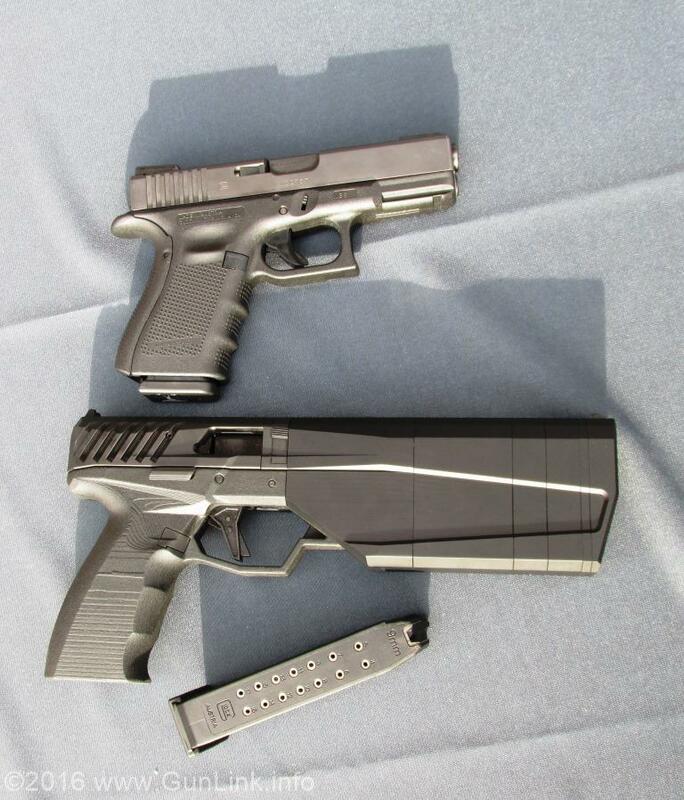 The Maxim 9 next to a regular GLOCK pistol. 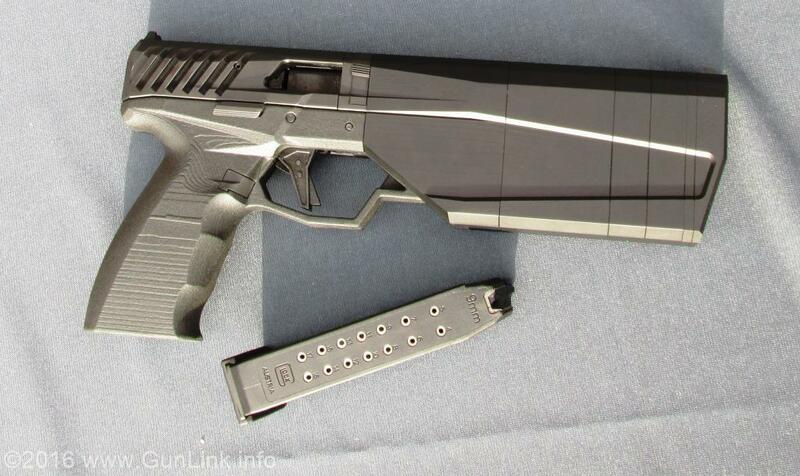 The grip and rear portion of the slide is normally sized and the suppressor portion isn't that much bigger than a pistol with a light/laser on it. 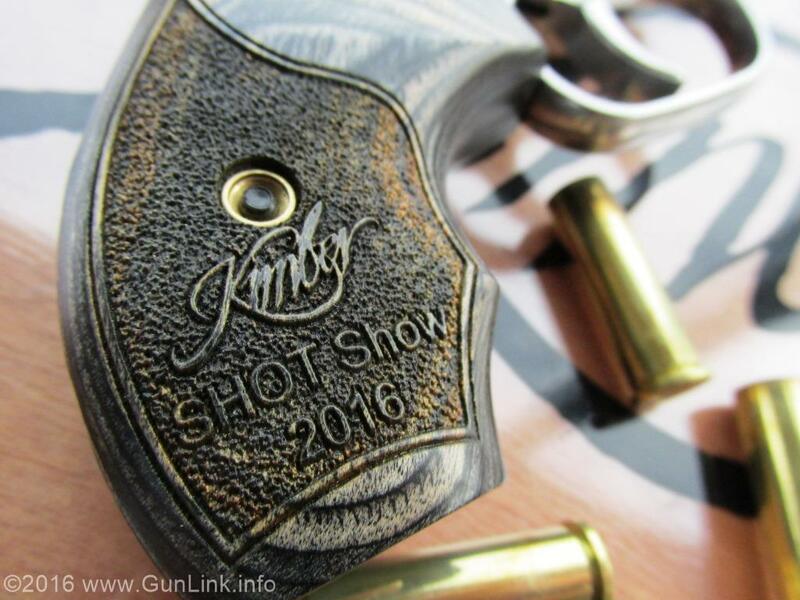 Long known for their fine bolt-action rifles and 1911 pistols, Kimber is carving a path into new territory: the revolver market. 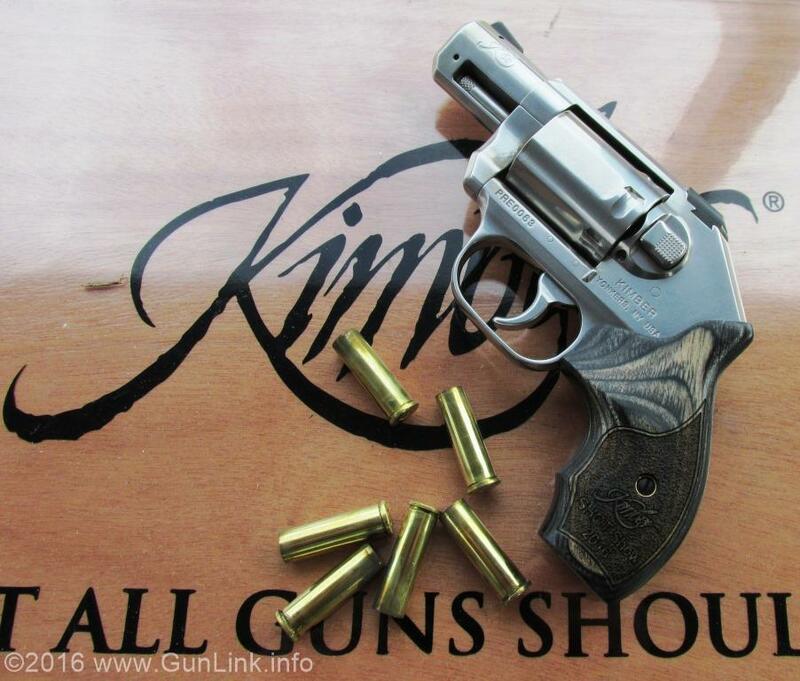 Enter the Kimber K6s 2″ .357 revolver. 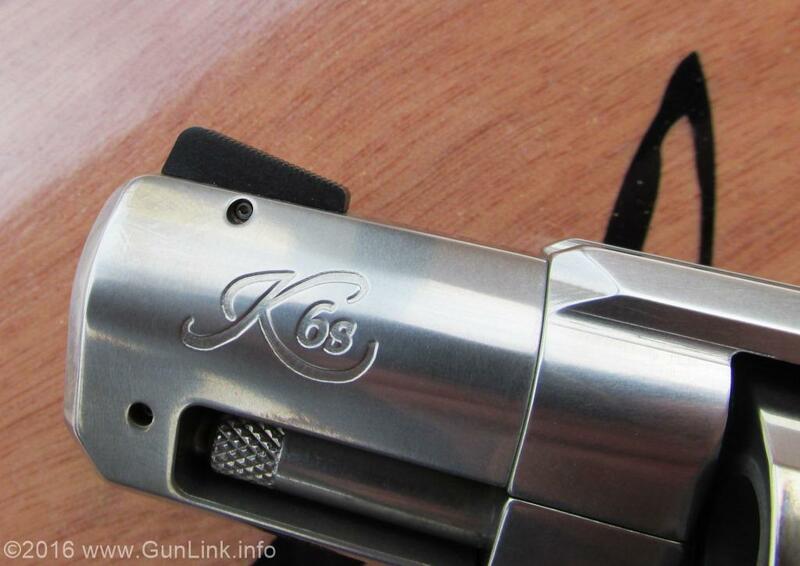 Even with a relatively hefty 9.5+ pound DAO trigger, the K6s was a smooth shooter thanks to its clean-breaking, non-stacking trigger. 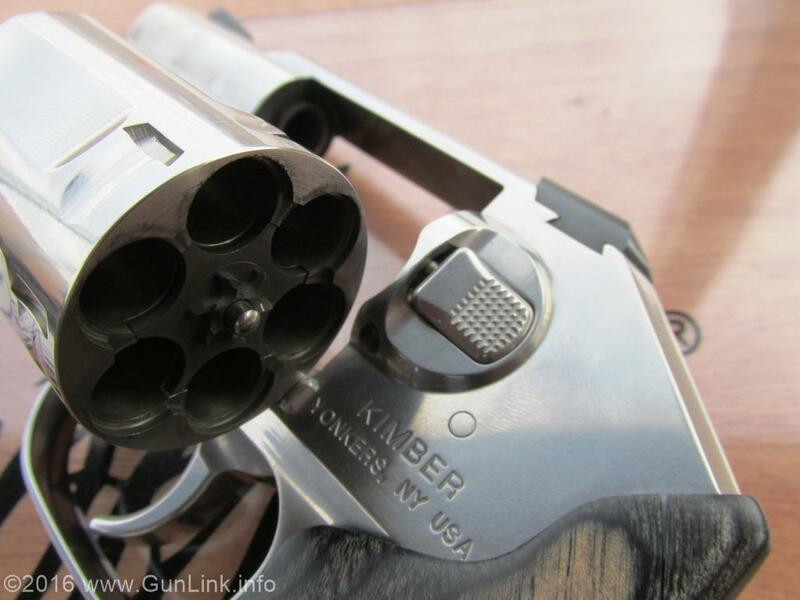 The 6-round recessed cylinder is the smallest one available in the .357 Magnum chambering. The stainless frame features an enclosed hammer, smooth lines, and rounded edges, all of which make it a good snag-free choice for concealment. It seems to be a solidly built revolver, but its stainless construction lends itself to a 23 ounce weight empty – more than twice that of a S&W AirLite. H 4.46″ L 6.62″ W 1.39″. We met the Evans guys of New Order Firearms at NRAAM last year in Nashville and loved the idea of their brand new, all US-made pistol. This year, at range day, we got the opportunity to get some trigger time on it. While the market is flush with polymer framed pistols, it is cool to see a smaller shop that uses 100% US materials, US production, US design, US development, and US pride being able to bring a solid, functional, competitive pistol to market. The New Order NO9 was nice to shoot. 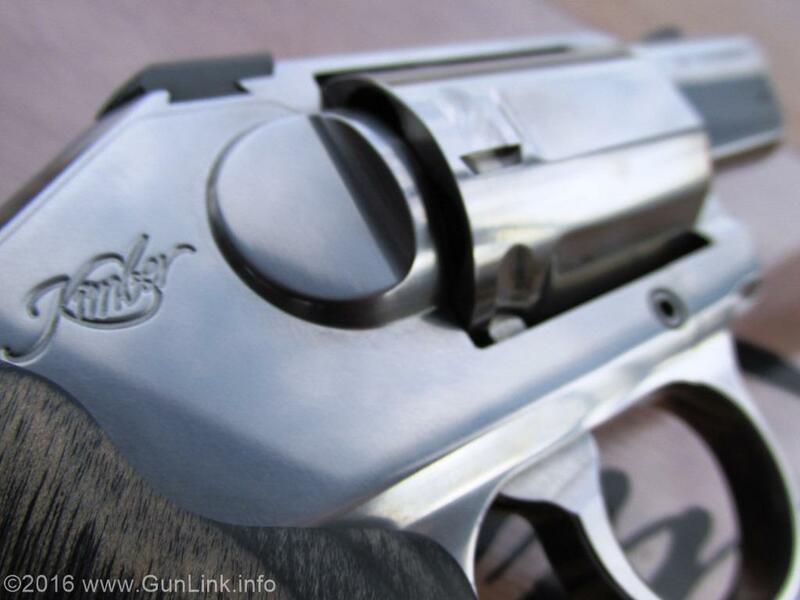 It features characteristics of many other carry pistols such as the lightweight poly frame, no manual safety, trigger-bar safety, and molded pic rail under the dust cover. It goes beyond standard features with some extras like reversible mag releases, trigger finger index points (think F and J keys on your keyboard), a heat-sink for the longer barreled version, and true right- and left-handed models that eject to the strong-hand side. 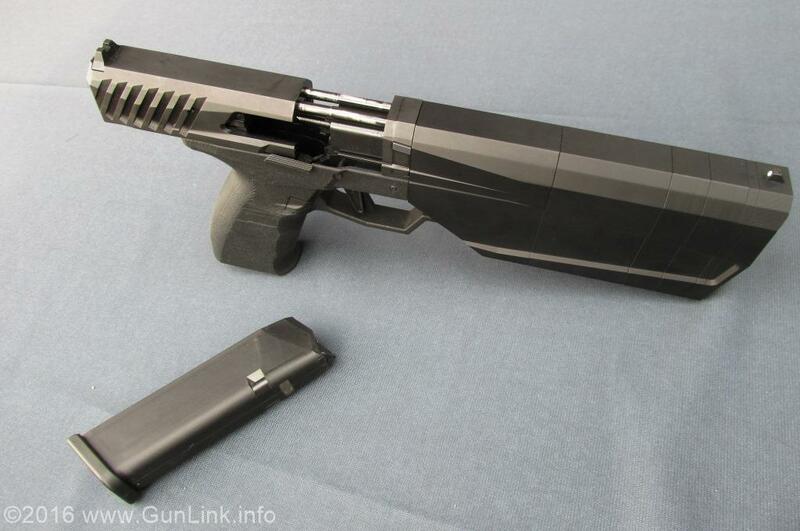 Is another polymer frame defensive gun what the market needs. I'm not sure, but I like it. 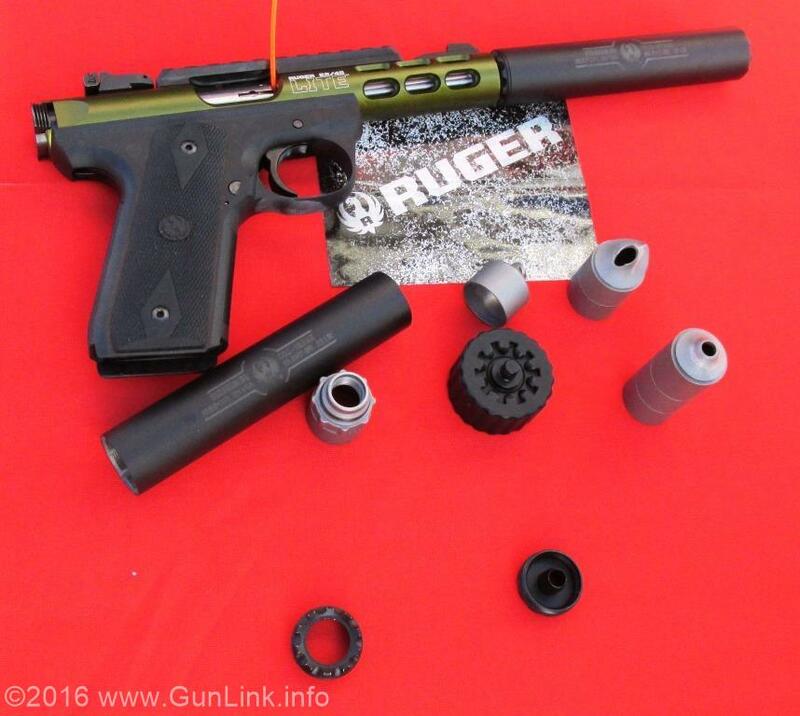 Ruger had their new SILENT-SR (cleverly pronounced “silencer”) .22LR can on hand to try out on a variety of firearms, including a 10/22 rifle or a 22/45 Lite pistol. We gave it a try on the 22/45 while the shooter at the next bench tried it out on a rifle. 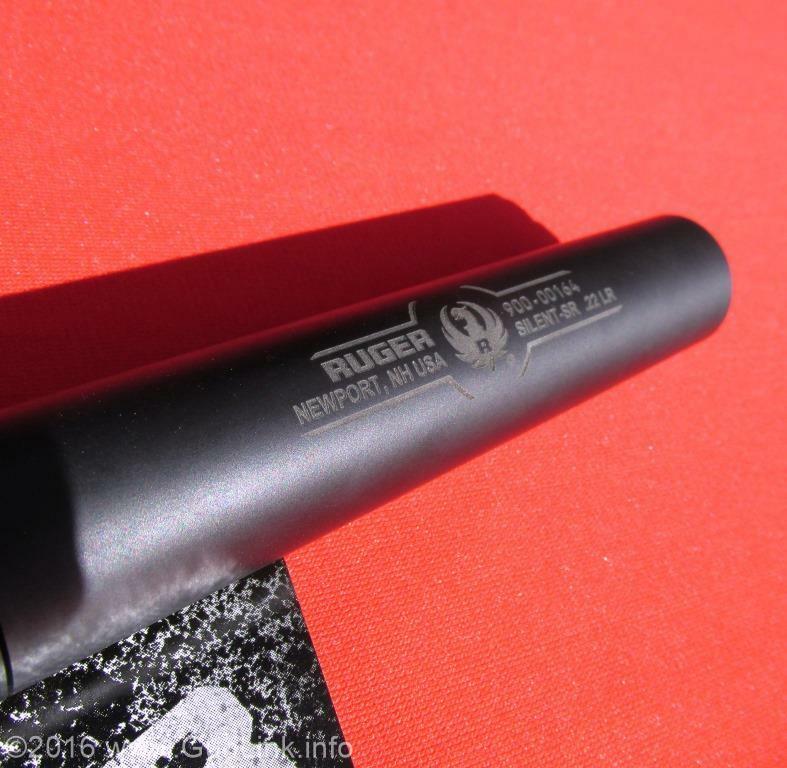 It performed as well as any other rimfire suppressor. Although it didn’t seem to bring much new to the table, many shooters might be happy to have a can from the same manufacturer of their rimefire pistol or rifle – which Ruger certainly has plenty of. Women are the fastest growing group of shooters in the US, but accessories have been a little slow to catch on. In general, women are shaped differently, our clothes fit differently and we have a few extra places where we could conceal a weapon. For most women, a full-sized weapon can only be concealed within the purse. If we do decide to carry, we are left in a world of choices with holsters that do not fit correrctly since the vast majority were designed by men and for me. Most .380 pistols would be easy for me to conceal. 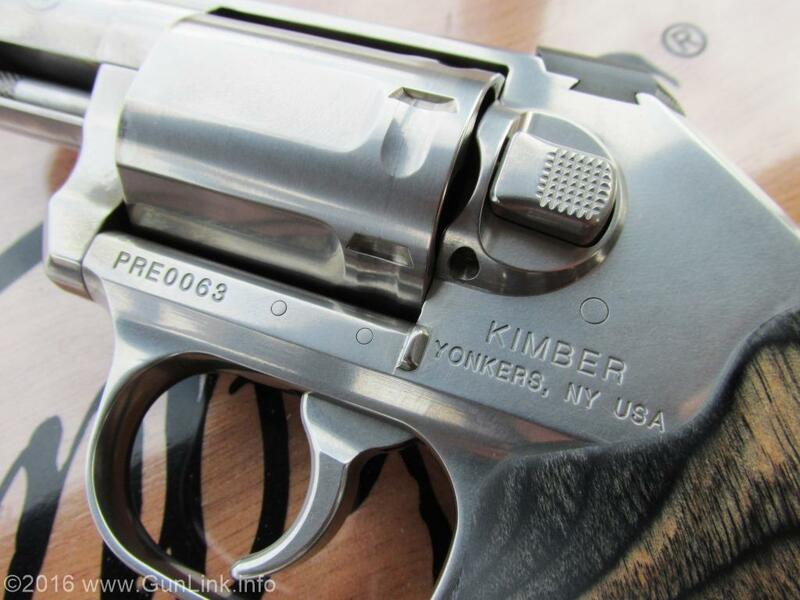 At Range day I had the chance to shoot to the Kimber .380, the micro-RCP. Weighing in under 2 lbs (13.4 ox) it was small enough to make me question my abilities as a shooter. 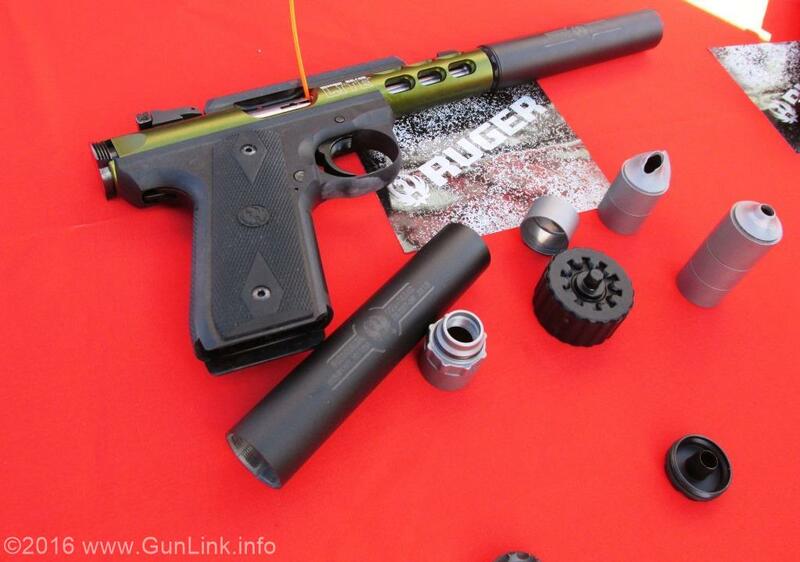 The barrel is only 2,75” and the micro-RCP is designed to be a small scale version of a 1911. Overall, I really liked the micro-RCP. I have always been fond of the looks of a 1911 but it is impractical for me to conceal on my person. So I have been keeping my eye out for smaller pistols. The micro-RCP has a trench site which was unusual for me but the pistol was able to make shots on the bullseye. While shooting, I had no difficulty with the slide and no problem with the recoil. It stayed in my hands without the need to readjust my grip after every shot. 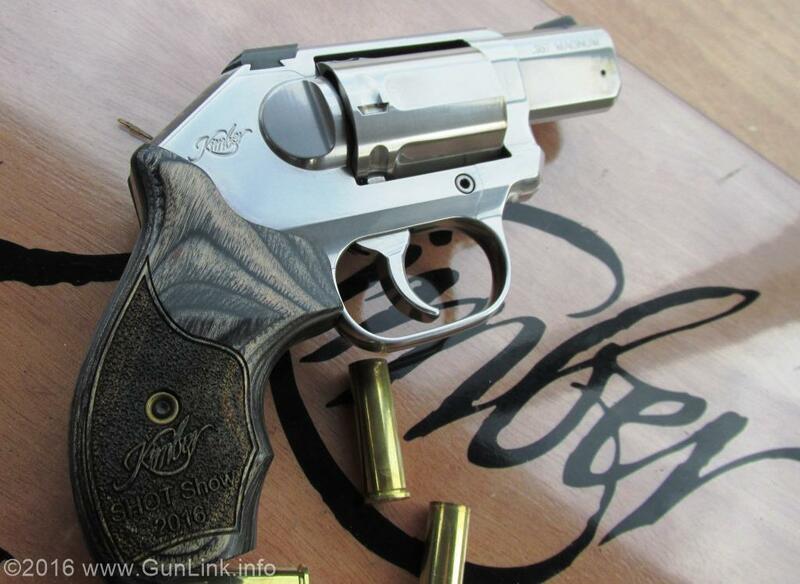 I would say that I liked this pistol and with an MSRP of $775, I would consider this as a carry pistol. 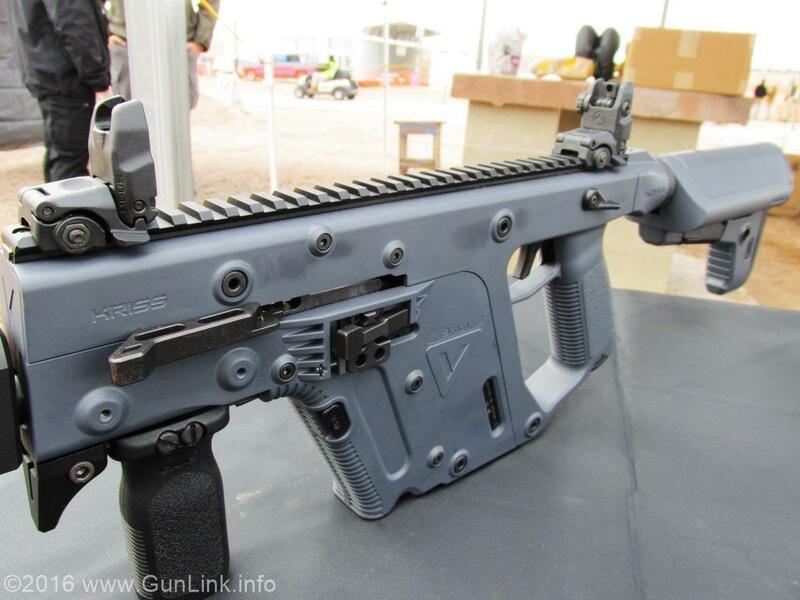 Kriss was at SHOT Show Range Day to show off some of their new offerings in the Vector line. This includes the 9mm variant to complement the .45ACP original model. In addition to the new chambering, the Gen 2 version of the vector is now available, including the "Enhanced" version - which comes with the square barrel shroud that matches the aesthetics of the overall Vector design, Magpul flip-up sights and RVG, Kriss's own M4 stock adapter and Defiance M4 stock, handstop, and Combat Gray Ceracoating. 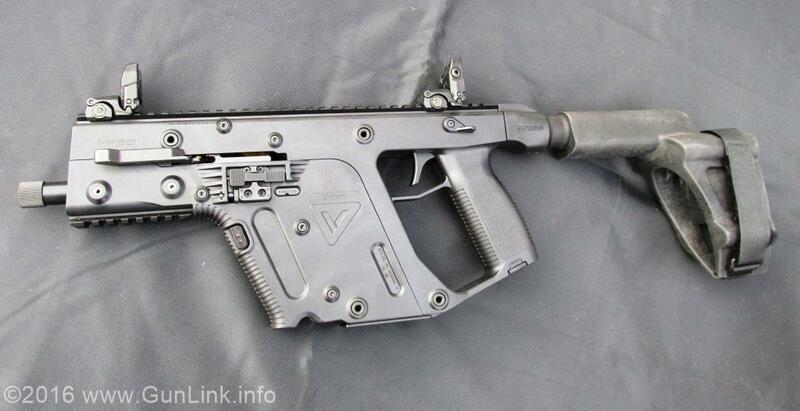 The Vector is also soon to be available from the factory in a pistol configuration with KRISS's own pistol arm brace, for those that want the SBR looks without the hassle and expense of the SBR stamp. 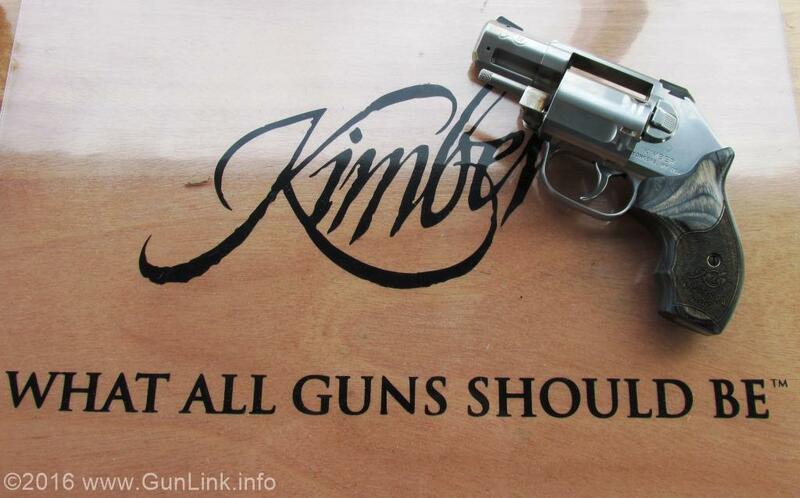 Who was it that wanted another 1.5 pound .357 revolver that prompted Kimber to make this? They make nice guns but this seems about 30 years late to the game. It looks good. Maybe a safe queen for someone with lots of extra dough. Im not sure what made them decide to get into revolvers. The trigger pull is something like 9.5 lb which made me feel like i was doing something wrong because it took so long to fire. After the first shot i was good, but i had to take my ring off because it hurt my hand. That fun looking rifle that our female shooter is using is part of the FN Military Collection. The FN M249S, a semi-automatic version of M249 SAW. 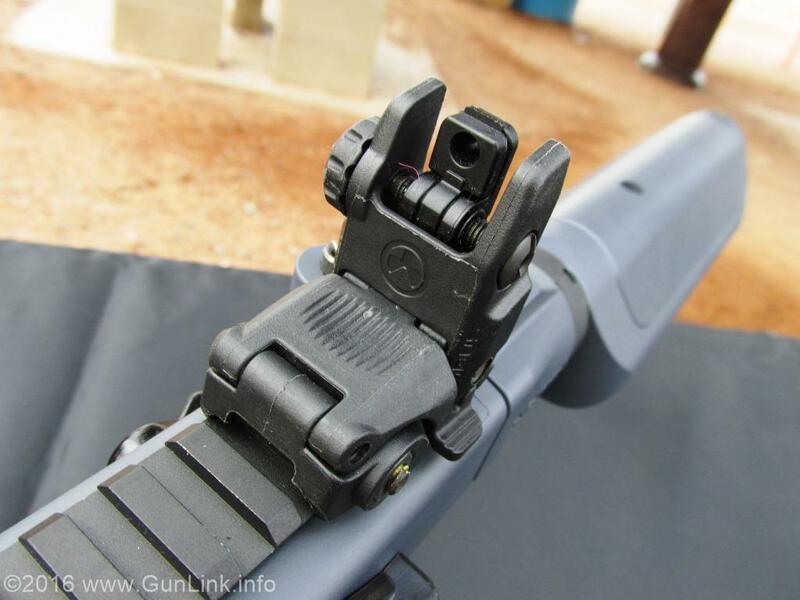 Unlike the original with the "fun" trigger, this one operates from a closed bolt position. It is chambered in 5.56 x 45 mm NATO and it can use magazines or linked ammunition belts. Fortunately, FN had a representative that loaded the belts of ammo for us. All we had to do was get into prone position and pull the trigger. It was easy to shoot and fun. Both members of GunLink had absolutely no problem hitting the target, which we are guessing was at 100 yards. Even more exciting, after shooting the M249S, we got to roll over to the fully automatic version which what our female shooter is shown shooting here. Everyone walked away with a smile.